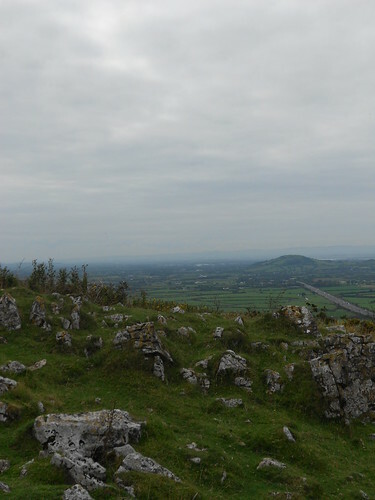 At the weekend, Natalie, Molly and I took a hike out to Crook Peak, perched on the end of the Mendip Hills in Somerset. Molly and I had been before, but this was Natalie’s first visit, so we were keen to have an enjoyable day out. 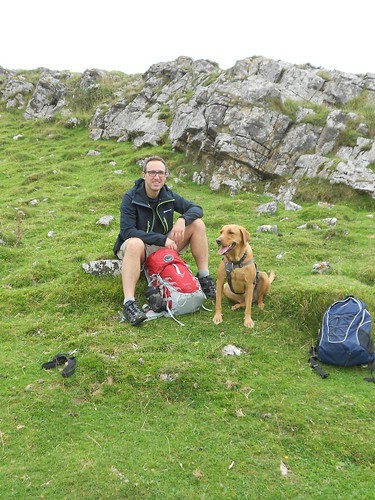 And with some hills, a packed lunch and an overenthusiastic Labrador, who could possibly fail to enjoy themselves…? Crook Peak itself is a big stone outcrop overlooking the M5 motorway, so we sat on a rock to eat our lunch and to feel sorry for the people below in their cars. 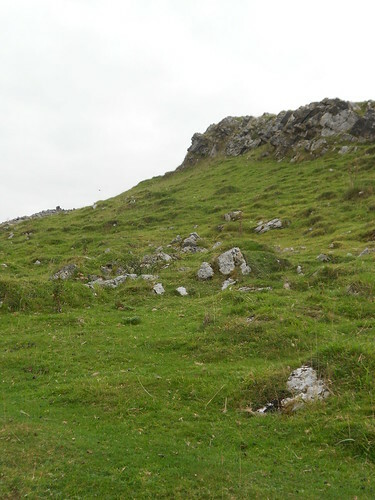 We drive past here frequently ourselves, so it was a refreshing change to be sat on the summit, rather than queueing our way down to the South West among the lane-hoggers and exhaust fumes. And the views from the top are definitely far better than those from the driver’s seat. From our vantage point, the Somerset Levels stretched out expansively to the south, criss-crossed by tiny roads, hedges and drainage ditches. Like a massive patchwork quilt, laid out solely for our benefit. Even Molly seemed to appreciate being out and about. She has a special harness for hiking, and whenever I get it out, she knows instantly what’s going on. 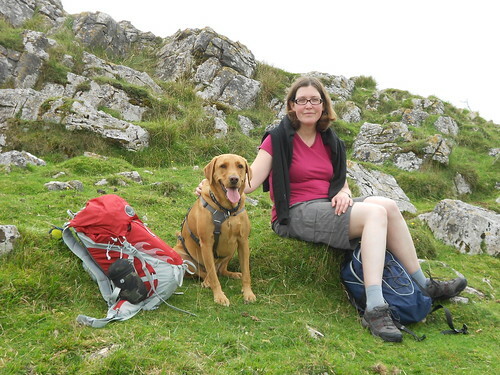 This entry was posted in Dogs, Outdoors, Travel and tagged Dogs, Mendips, Molly, Somerset, Walking by Simon Perks. Bookmark the permalink.